SA-Dakar Rally: Third at first Dakar Rally - Toyota makes motorsport history. 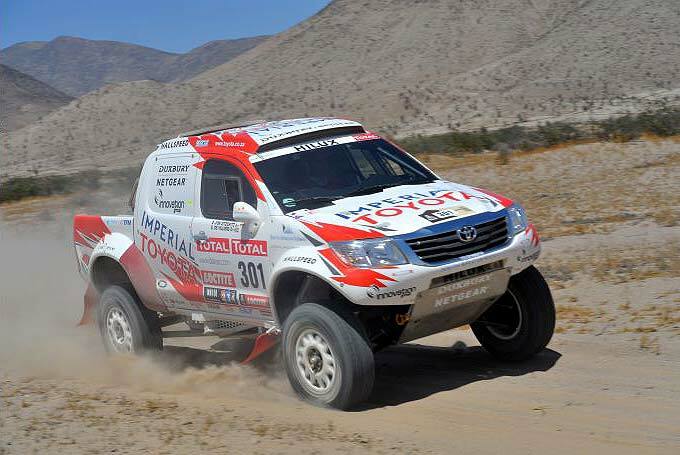 Giniel de Villiers (South Africa), Dirk von Zitzewitz (Germany) and Imperial Toyota have finished 3rd overall at the toughest rally in the world, thus heralding the future of endurance rallies. 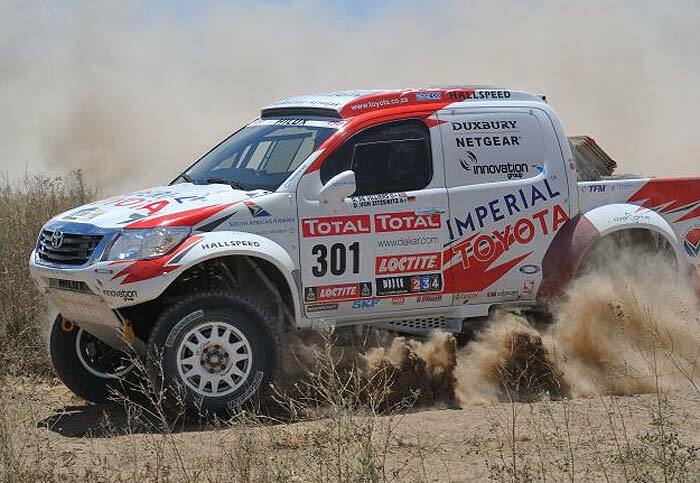 Armed with their privately run Hilux, which was developed in accordance with new Dakar regulations set to be introduced in the future, they claimed a podium finish against far more powerful opponents at the first attempt - and at the premiere for Imperial Toyota too. For De Villiers/Von Zitzewitz this was the third top-three finish at the legendary desert rally since it moved to South America four years ago - no other duo can boast such a successful record on this continent. Their victory in 2009 saw "Ginny" and "Schnietz", as the friends know each other, herald the era of diesel dominance, which lasted until today. With third place in 2012 they have demonstrated the capabilities of petrol-driven prototypes and future, production-based drive technology. The last time a car run on conventional petrol finished in the top three was in 2009. From 2013 the big favourites and today’s Dakar winners will also use production-based engines, in accordance with Dakar regulations. 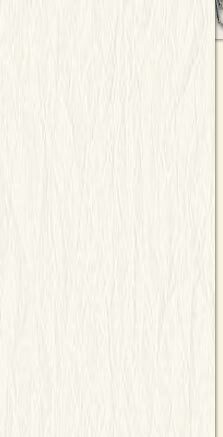 Imperial Toyota, on the other hand, has already been employing tomorrow's technology this year. 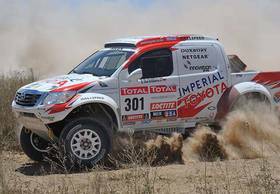 Tough just got tougher: The motto of the Imperial Toyota team from Johannesburg/South Africa not only applied to the Rally Dakar itself, but particularly the capability of its new, robust Hilux prototype. 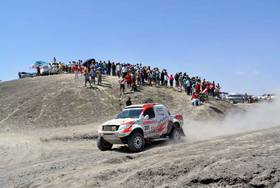 Team Principal Glyn Hall's crew got the V8-powered, 300-hp Hilux up and running in less than 100 days. Together with partner team Overdrive it also organised the complex Dakar logistics and ensured the technology ran reliably and flawlessly whilst actually at the Dakar. The South African and his German navigator arrived at the start of the Rally Dakar with only 700 kilometres experience at the wheel of the Hilux - most competitors have completed at least ten times that figure. With no real knowledge of the limits, the duo cautiously set about discovering just how far they could push the car.